Humans need to connect with each other – and with nature. However, our hectic lifestyles can sometimes mean that we lose time to socialise, spending less quality time connecting with friends and loved ones. Our increasing use of technology probably plays a part too. Whilst on the one hand it allows us to be permanently connected, but this can sometimes interfere with the quality of the time we spend face to face. Here at Human-Nature, we’re trying to tread that fine line of embracing the advantages that technology undoubtedly brings, but maintain the social and nature connections that humans need too. Connecting with nature is our natural inclination, but it’s a human need that in recent times we’ve possibly started to neglect. From relaxing in a garden, to visiting a local park, to strolling in the countryside, we’ve historically found comfort and recuperation in nature for centuries. But with increasing urbanisation and technology, we’re in danger of experiencing a bit of a ‘disconnect’ with the natural world around us. 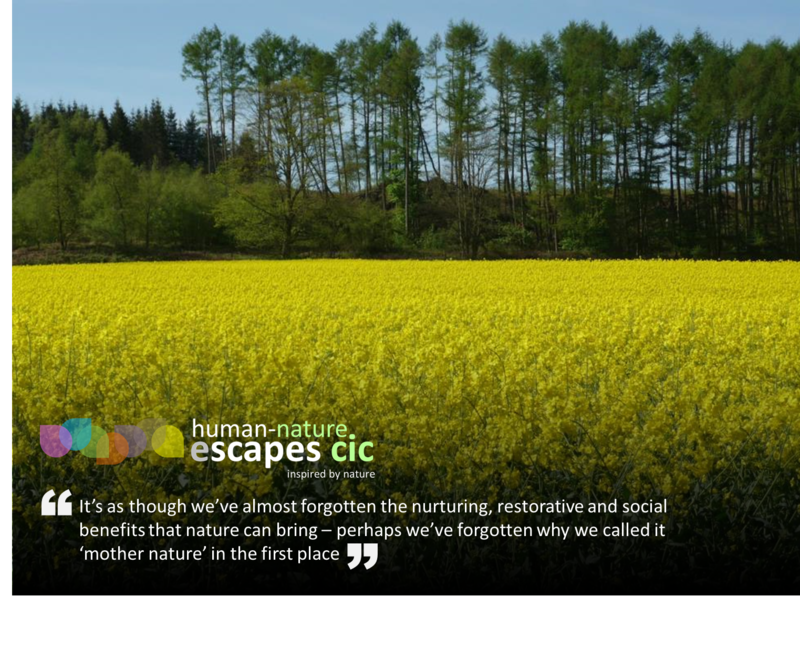 It’s almost as though we’ve forgotten the nurturing, restorative and social benefits that nature can bring – perhaps we’ve forgotten why we called it ‘mother nature’ in the first place? Green spaces provide us with ‘third space’ – a place to relax, away from the pressures associated with work and home, providing a more balanced lifestyle. They provide places to meet and socialise, as well as allowing us to get closer to nature and wildlife. Time and again, scientific studies prove the benefits to wellbeing that access to green space delivers. Nature provides a fascination which can distract us away from troubling thoughts, allowing our minds switch off for a while, providing a means to re-energise and recharge our own batteries!